The Children’s Museum of the Treasure Coast is hosting another fabulous Adults Only Evening on Thursday, March 2 from 6:00 pm-8:00 pm. 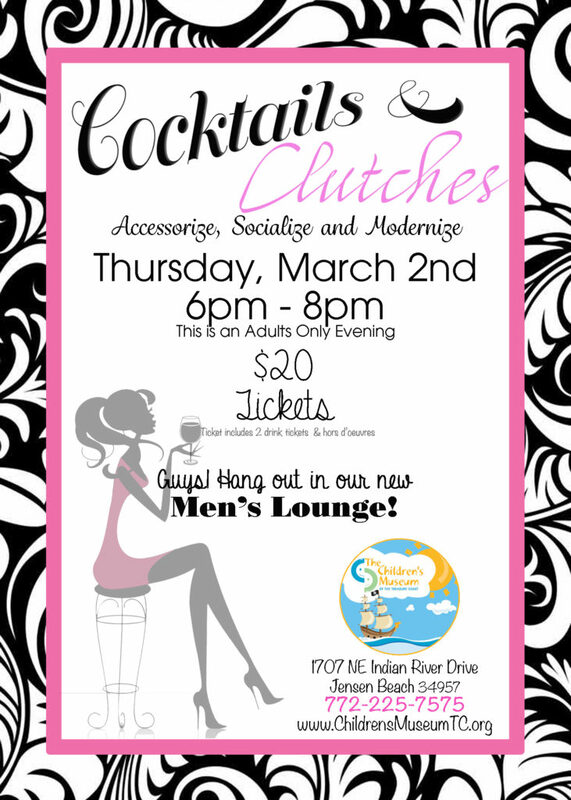 Tickets are only $20 and include, an evening of shopping, mingling and adult beverage-ing. As you enter you will be greeted by live music, hors d’oeuvres, fabulous vendors and swing by the raffle table to enter to win some great items. This event is not just for the ladies, this year The Museum will be adding a Men’s Lounge just for the guys to sit and relax while the ladies shop. The new Men’s Lounge will have its own specialty drinks, entertainment and goodies just for the guys. If you would like to donate, sponsor or be a vendor for this exclusive Adults Only Evening contact the Marketing department at Children’s Museum for more information. Tickets are on sale now at The Museum’s website, buy yours today.